Newly manufactured by Prvi Partizan, this 5.56x45mm ammo is great for AR-15s, SCARs, and any other appropriately chambered rifle. This ammo is loaded to NATO M193 specifications at Prvi Partizan's plant located in Serbia. 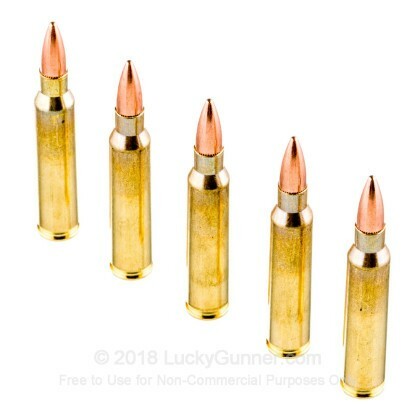 This ammo features annealed brass casings, hard primers with moisture-blocking sealant, and full metal jacket bullets with boat tails (FMJ-BT) and toothed cannelures; both construction features contribute to greater overall accuracy for nice groups downrange. The 55-grain projectile used in this ammunition matches a wide range of practice loads which makes both zeroing and calling long range shots simple affairs. All casings are reloadable which allows savvy handloaders to save even more after the rounds are expended. Prvi Partizan is recognized in the United States as a quality import brand and is responsible for keeping many older calibers alive for the most eclectic collectors. High quality ammunition for a very good price. I shot 500 of them last week and no malfunction. It also look pretty clean. Thank you to Lucky Gunner, the order arrived on time and was exactly how I expect it. I've shot several thousand rounds of this ammo. It performs flawlessly. Has dented metal plates where a buddy shooting m855 did not. Great ammo. Hope it doesn't catch on so it stays cheap! 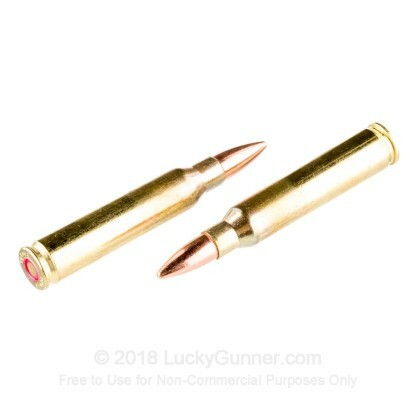 For budget ammo, some of the best you could find. I had no issues firing this ammo, and no failures. This feeds consistently and reliably, along with zero primer failures. The brass and projectiles are pretty standard as far as Lake City goes, and don't deviate very much from what one could expect. I was shooting this through a LWRC M6 SL. A friend and I also shot this through his M400 with the same results. So there isn't an issue with short-stroke piston vs. direct impingement as seen with other types of ammo. I have fired over a thousand rounds of this and have had zero issues. This is all I buy now. Ammo worked well in my AR 15s. The cheaper steel case ammo wouldnt cycle. This worked flawlessly. We just tested some of our new AR15 at our station range using some 5000 rounds of ppu ammo it was great! Great value. Out preforms most of the U.S. manufactured ammunition. I don't want to say to much, the price will go up. I have not gotten to shoot this ammo yet nor will until SHTF because it comes air sealed in 200 rounds bags in 20 round boxes. I didn't know that's how it would come so that was a very pleasant surprise and i will be ordering this again when i have the funds to again. Great value and outstanding shipping it was at my door in 3 days of ordering. I gave performance 5 stars due to I've shot PPU with all of my other firearms and it has functioned flawlessly. I can honestly say I would pick PPU over any other. 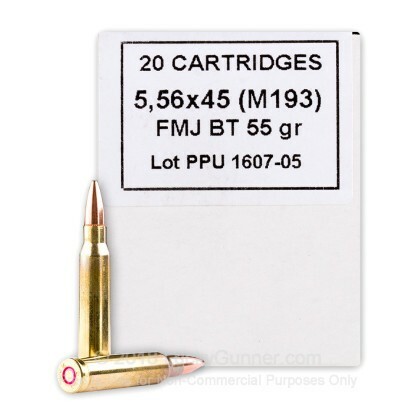 Good ammo, good price and Lucky Gunner's great service made this an excellent choice. Ran a quick 100 rounds to see how these would do as I prefer Federal. Nicely made, consistent and clean shooting. Lucky Gunner shipping was Aces as always!!! Get this while you can as it some Very good stuff!!! Great ammo great value, will be buying more!! Another range a few miles away - sells this ammo. But Lucky Gunner has the best price!! 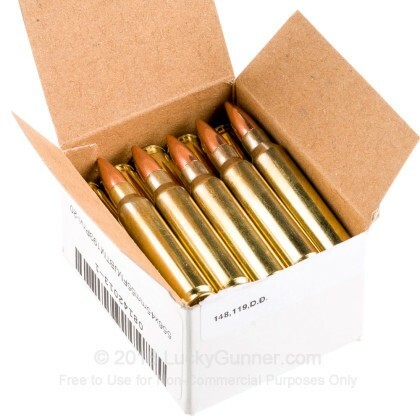 Good ammunition at a reasonable price. Have fired about 100 rounds through my new AR and had no jams, misfires, or any other problem. Seems to burn very clean--minimal cleaning required. Shipping was unbelievablly fast. I love the packaging--came in heavy sealed plastic (battle packs) of 10 boxes that is very handy for storage and quick deployment. Will purchase again if they get it back in stock. Very satisfied. After about 100 rounds fired from my Frankenrifle carbine, all seems good. No reason to question quality. No greater cleanup than expected. I'll buy it again if the price stays this good. Two thumbs up for LuckyGunner for clear information, ease of purchase, and fast shipping. Worked great in my mini 14. Fired around 400 rounds no misfires. Can't beat the value or service from lucky gunner either. This is my first experience with PPU ammo and it is great. My ammunition arrived quickly and it is extremely clean and without defects. All rounds are boxed and arrive in plastic wraps. Very nice quality. I fired a 100 rounds the other day and each fed smoothly and no misfires were experienced. I will order more and think in some respects it is superior to Federal with regards to overall manufacturing. This was my first purchase from Lucky Gunner and I was impressed with their speed and customer service. This has to be some of the best ammo I shot through my AR. I will be buying much more before people figure this out and drive the price up. The only reason its so cheap is that it is manufactured in eastern Europe so their costs are low. 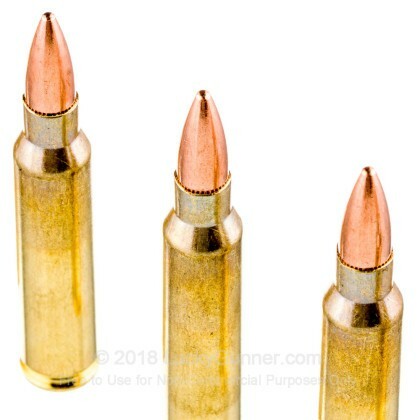 This is a very good ammo for everyday use, goes bang every time in my custom built AR15, I will buy more every time I have a chance to get it. Love this stuff. Cleaner then most American 5.56. Very consistent without any issue. PPU have been around forever. I'm amazed by how cheap it is. I pick this up wherever I can find it. And luckygunner has a great system with getting my ammo when I need it. have only shot a few boxes so far. they ran very smooth and performed very well. 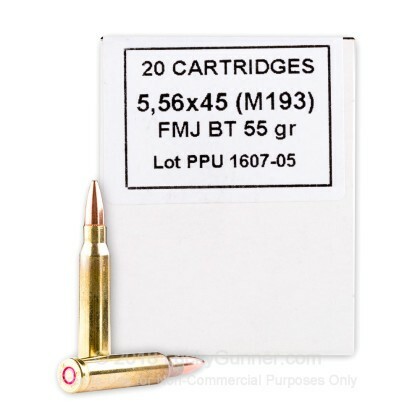 I use PPU ammo for years, because of their great quality and cheap price. Definitely best-buy ammo i could find. Q: does this ammo have crimped primers? A: Hello Rick! The 5.56x45 ammunition will be loaded with crimped primers. A: Hello! The Prvi Partizan is loaded with the standard 55 grain M193 bullet. It features a copper coated lead core with no steel in the jacket.